Across all of our three offices, Hawsons have been fundraising for Children In Need with a dress-down day as well as a charity bake-off. 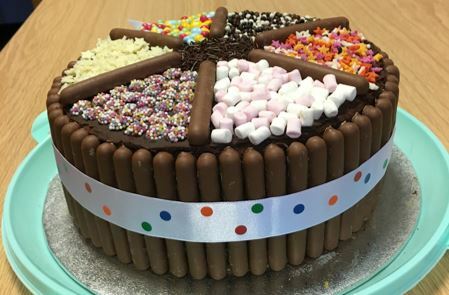 A big thank you to all those who entered the baking competition which was judged by Hawsons’ Healthcare Partner, Scott Sanderson (aka Paul Hollywood) and congratulations to Claire Pass (Payroll, Sheffield) for the winning entry for her stunning chocolate cake. Claire Pass, Payroll and master baker.